We created a beautiful anniversary party invitation for this 50th wedding anniversary party. 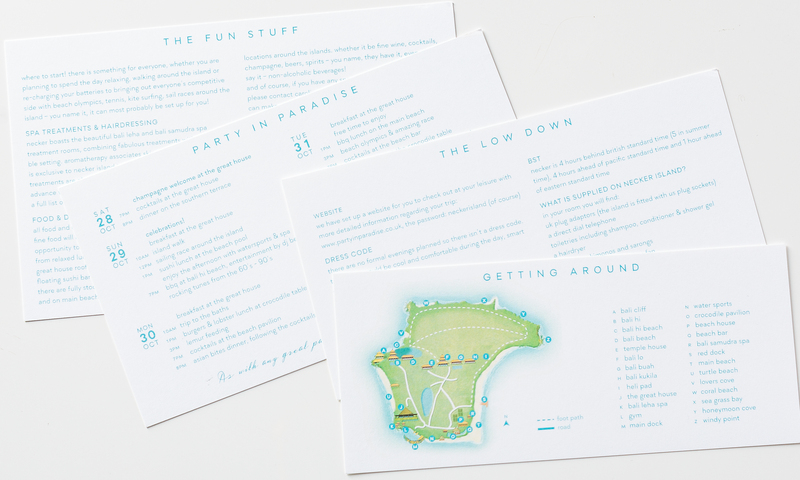 The invitation was printed on clear acrylic, allowing the custom watercolor painting of Necker Island to show through. 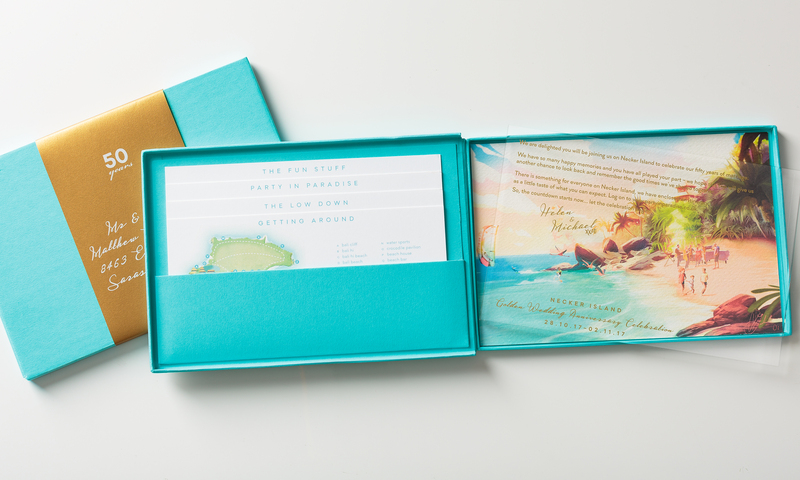 The stacked insert cards look beautiful inside the pocket in the custom aqua box. The wrap around gold label seals the set together. Everyone deserves to be celebrated.